Marriage can be at its sweetest during the first years. It’s the honeymoon stage, getting to know each other more, adjusting and such. But as the marriage progresses, we bear kids and then we get busy with jobs, businesses, and life. The romantic passions and affections also diminish. To keep the love and marriage going, we need to do this reconnection technique. Falling out of love? 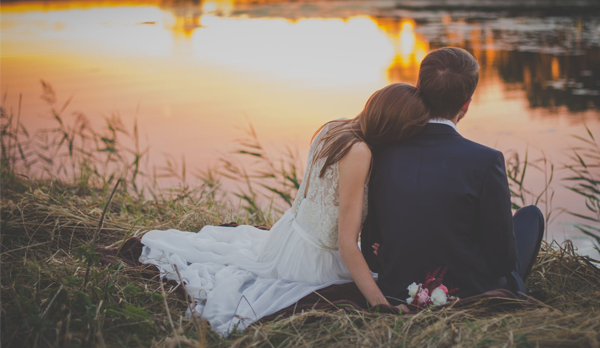 You just might need a reconnection technique that will revive your marriage. Not all couples are the same, so the reconnection technique varies between couples. Relationships between couples are very different so there is no single fool-proof way. The reconnection technique that we are talking about here is to go back in time and reminisce. Think of the past and how you first fell in love with your spouse. Ask yourself some questions. What helped you make the decision to make that life-long commitment to marriage ? As you look back, focus on the positive aspects of your relationship back then. What were the feelings that were elicited back then? What changed along the way? Focusing on the happy times will help you remember why you decided to get married in the first place. It will help you shift your vision from the problems of the present to the good times of the past. Being able to do this helps you identify the problems and come up with suitable solutions. And reminiscing makes you fall in love all over again. I believe that marriage is not just ruled by a single party. It is a partnership between two people who have made a life-long commitment to each other and before witnesses. Honestly, it would be really hard to work on the issues on any marriage without two people’s consent. The best situation is really for both parties to sit down, acknowledge that they have problems, and start the process of reconnection. Let’s face it, we are all very busy. We have jobs, kids to take care of, and social relationships to deal with. If you’ll have my 2-cents’ worth, it would be best to know what your priority is. If your marriage is faltering, then it would really do you good to make time to reconnect with your spouse. It can be something as short as 30 minutes, but it is best that you don’t rush it, especially if you are in the moment. As you find a common time with your spouse, sit back and relax. Reconnection is a process. Your mind is at ease and you can easily remember good things. It is best if you can leave the home and the kids so that your focus is on your spouse only. If you can take a couple’s vacation, then that would be so much better.